Not to be missed! This spacious and immaculate family home is located in an exceptionally secure, neat and well managed complex in Craigavon. The home offers open reception areas with a gourmet modern kitchen. The living room opens onto a sunny patio overlooking a private garden and swimming pool. Upstairs there are 3 lovely spacious bedrooms and 2 full modern bathrooms. Off of the main bedroom are two sunny patios It also has a double auto garage and the complex is fibre ready, has piped gas and is very pet friendly. 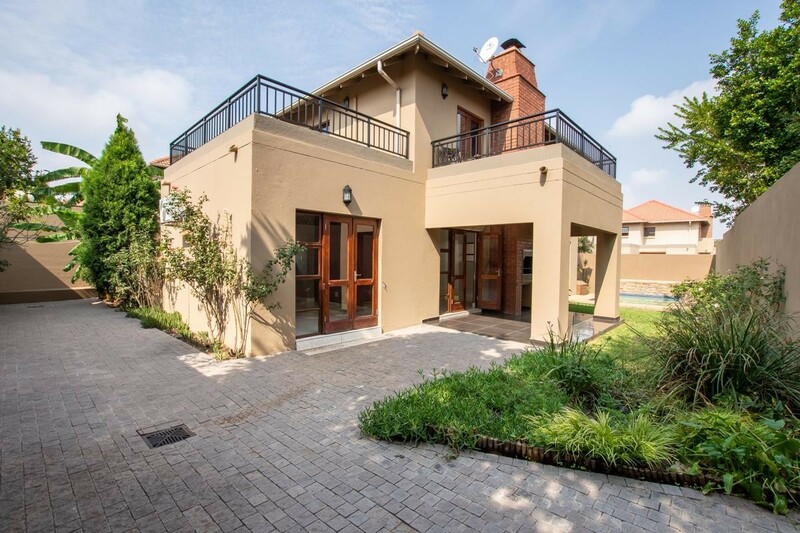 With 24-hours access controlled security, the complex is within minutes of Cedar Square, Fourways Mall and Montecasino and within close proximity to various schools, Life hospitals and all other amenities.